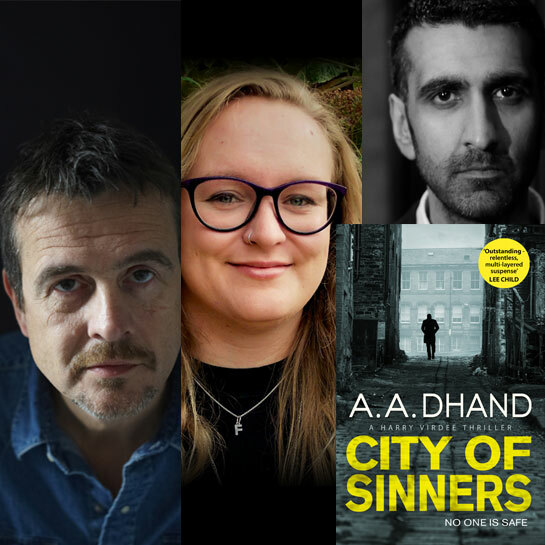 We’re bringing together three of the most exciting crime authors: Mark Billingham, A A Dhand and Fran Dorricott to discuss the contemporary crime novel from the perspective of a bestseller, a midlist novelist and a debut author. Mark Billingham is one of the UK's most acclaimed and popular crime writers. June marks the release of his newest book, The Killing Habit, the latest in his ‘Tom Thorne’ series. A.A. Dhand was raised in Bradford and spent his youth observing the city from behind the counter of a convenience store. The history, diversity and darkness of the city have inspired his celebrated Harry Virdee novels. Fran Dorricott is a Derby-based author whose has been a festival regular as one of the Waterstones team. Her debut novel, After the Eclipse, explores community and family ties in a story of two solar eclipses and two missing girls.